Law Appointments gives your firm its own dashboard to manage your appointments online. Let’s face it, the legal industry is undergoing radical change. In the mind of the consumer, if I can make an appointment online with my medical practitioner, why can’t I do it with my lawyer. Well, to date it’s been problematic. There has never been one platform that did the job completely. For example, there are those that profess to connect the requested appointment to your calendar, but not to all calendars. In other words, it did Gmail, but not Microsoft 365 or Outlook. The other issue was that most advertise a 2-way sync, meaning that when you update your own calendar, the appointment platform will sync instantly and be updated. It rarely occurred and these issues and more plague the majority of online appointment setting software. For these reasons and because we believe that online appointment setting plays a vital role in client acquisition from your marketing tactics, we wanted to design and develop our own online booking platform for lawyers that overcame all the deficiencies of other platforms, so we did. 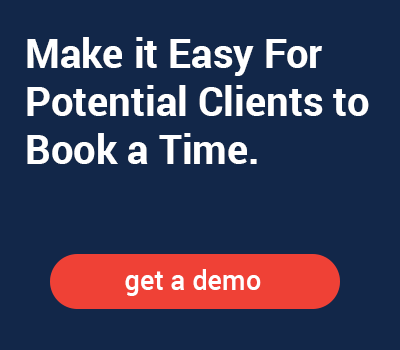 Our software, aptly called, “Law Appointments” allows a widget to be installed anywhere on your website or any online channel (social media, email signatures etc) and gives existing or new clients, or anybody for that matter (colleagues etc) to make a time in your calendar through only seeing spaces that are available. Better still, the appointment isn’t confirmed for the client until you confirm it for obvious reasons (conflict checks etc). Law Appointments also gives your firm its own dashboard where you can add, remove and manage your lawyers (as many as you like) and mark out days and times in which they do not wish to receive appointments online. Let us give you a demo and discuss how we can deploy our own bespoke software within your law firm’s marketing strategy. Our super responsive team at Fast Firms are here to take care of your online law appointment potential now!